A study out of Germany and published in the Journal of Urology, found men who had a drop in their testosterone level at a younger age or who experienced large variations in testosterone levels were more likely to develop prostate cancer. This relatively small study followed 376 men, aged 45 to 74 years, from 2004 to 2016 with testosterone levels less than 12.1 nmol/L who had opted against testosterone replacement therapy. The aim of the study was to investigate whether dynamic patterns of testosterone levels contributed to an increased risk of prostate cancer. The researchers with the study found that the older a man was when his total testosterone fell to 12.1 nmol/L or below, the lower his lifetime risk of prostate cancer with the risk declining by 32% for each 1-year increase in age at diagnosis. Another factor found was that men with a high versus low coefficient of variation, which is a measure of testosterone fluctuation over time, had 4.9 times the risk of developing prostate cancer. 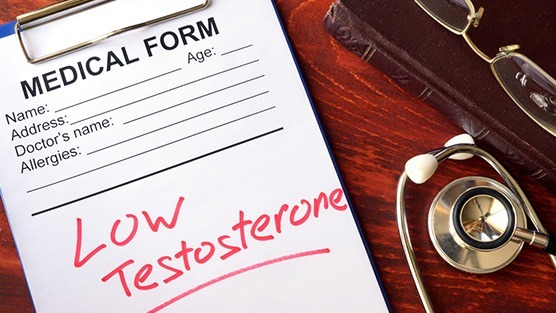 Men with a maximum drop in testosterone that differed by 20% or more from his average or who had a large median drop within 2 years had 8.5 and 2.7 times greater risks, respectively.